Check out the new entry door on the front of this home, which will compliment the work completed throughout the rest of the exterior of this Alburtis home. We installed a new roof earlier this Summer, and after being incredibly satisfied with the finished product, Mike decided to have us come back to take care of all the doors as well. This sliding door was replaced by Pinnacle Exteriors due to the old one sticking, and annoying the homeowner when they were trying to open and close it. The new door glides with ease, and as you can see was installed with appearance as well as functionality in mind. Check out the before and after transformation of this bow window in Macungie, Pennsylvania, completed by the hardworking crew at Pinnacle Exteriors. Check out the finished installation here at this Macungie property, where Pinnacle Exteriors left some very happy customers with new sliding doors and windows, all around. If you have home improvement needs in Eastern Pennsylvania, Lehigh Valley, the surrounding areas, or New Jersey, be sure to give us a call at 484-350-6829 or toll free at 1-877-954-6473 to get your free in-home consultation scheduled, at your convenience. Pinnacle Exteriors took care of the sun porch windows, and left the customers very pleased with the final product. 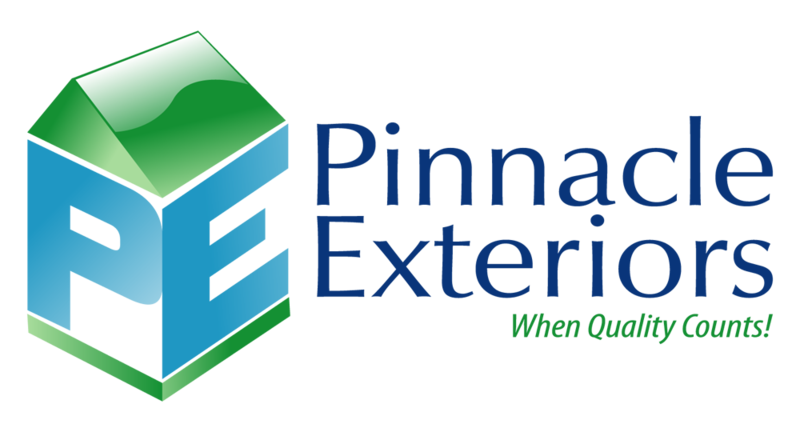 Check out the before pictures of the windows and siding, and make sure to give Pinnacle Exteriors a call whenever you have roofing, window, door, siding, or solar needs at your home.